Hot off the back of their ‘The Living Dead’ EP earlier in the year, producer duo DC and Hooks – or Zeds Dead as their known to the masses – now return with a rework of what is one of the most iconic records in dance music; The Prodigy's 'Breathe'! Set for release on November 4th on XL Recordings, the boys have recently released a two-minute teaser. The track will also feature on both the deluxe reissue version of ‘The Fat Of The Land’ and on ‘The Added Fat’ EP. ‘The Fat Of The Land’ will be reissued on December 3rd/4th (US) by XL Recordings in celebration of the album’s 15th anniversary. 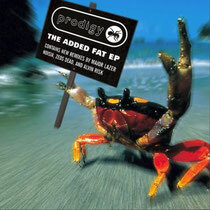 All deluxe versions of the album and the digital version of ‘The Added Fat’ EP include remixes handpicked by the band from Noisia, Alvin Risk, Zeds Dead, Baauer, The Glitch Mob and Major Lazer. Make sure to check the breakdown, you just know this will go off!